Lots of trees took a hit! There are still many that are buried up to their "knees" in water! When we were at Whitewater we were amazed at the damage the trees and land took form 11 inches of rain falling in 2 days, and the fact that they are at the bottom of a valley. Ouch. 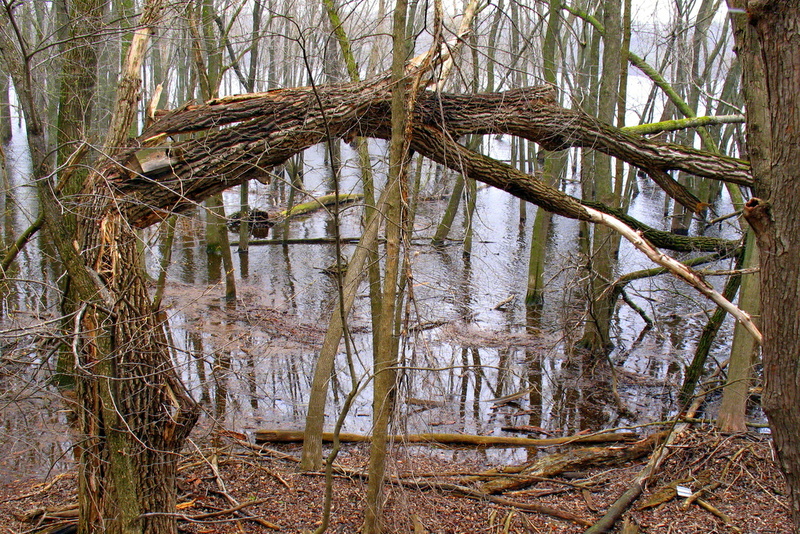 Which leads to the question if a tree falls in the forest... Looks like a wood duck house.